OUR PRODIGY IS FROM CHAMPIONSHIP LINAGE. WE PROVIDE A PUPPY PACKET WITH LITERATURE, A SAMPLE OF KIBBLE (EUKANUBNA) AND COUPON'S, OUR PRODIGY IS SOCIALIZED WITH LITTERMATES AND PEOPLE BEFORE GIVEN PLACEMENT. WE PROVIDE VACINES, WRITTEN HEALTH GUARANTEE. A PEDIGREE AND WE WILL PROVIDE SHIPPING @ BUYERS EXPENSE. MOST COLORS AVAILABLE. 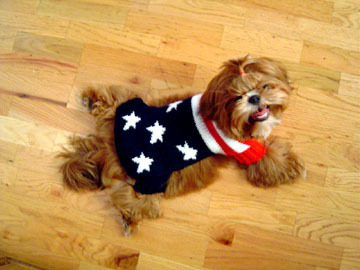 WE ARE EXCEPTING $200.00 NON REFUNDABLE DEPOSIT'S TO RESERVE A PUPPY. WE ARE LOCATED IN ROCHESTER NY, FOR FUTHER INFORMATION AND PICTURES WE CAN BE REACHED @ (585) 227-0336 OR E-MAIL US AT THE ADDRESS THAT IS BELOW. 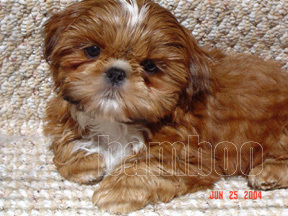 The 2 photo's below are that of bamboo, one of our puppies that was sold to Mr Phan of Minnesota. 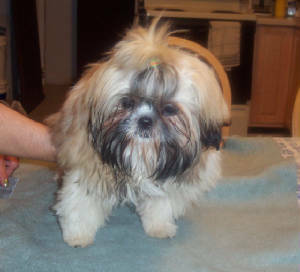 This is one of our male puppies owned by Mr Phan of Minnesota. The picture below is a recent photo of the puppy above. Sent to us by his current owner. 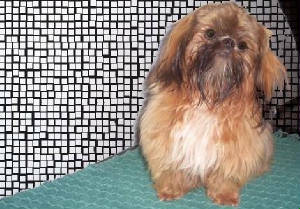 Gizmo, a typical year old male dog. This is coco, the mother to the puppy male above. 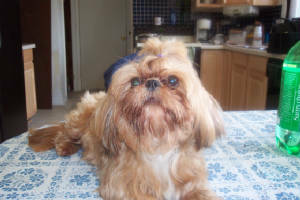 This is Ginger, one of our little girls that went to a new home. 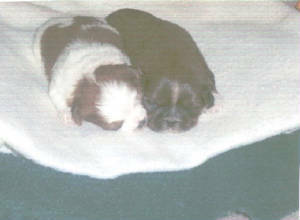 These are our typical newborn puppies. Above are a few of our typical puppies and one of our moms. Our puppies are given all shot's needed prior to going to there new home. We are expecting puppies to be ready for new homes by the holiday season, early reservations are recomended.